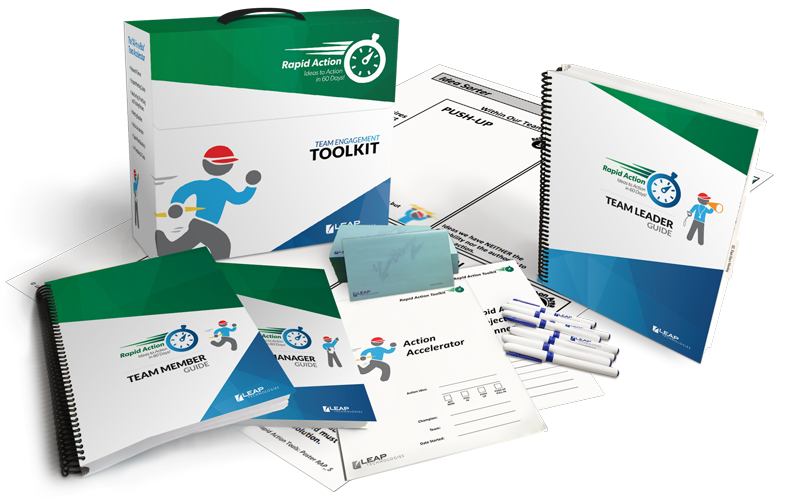 Rapid Action Toolkits include everything you need to run a project team, from scripted meeting guides to materials and supplies. Your competition is trying to improve too. If you’re not improving faster than them, you’re falling behind. What should you be doing to change faster? Complicated change equals slow change. Complex tools limit participation. If you want to get more people involved, you need to keep it simple. The best ideas often come from those closest to the work. Provide them with clear direction and watch them go to work. Train and launch teams as needed, so they start where the energy is – with their ideas for solving the problem. Clarity gives teams what they need to only work on the best ideas. When there is a clear end in sight, people stay motivated to hit their targets. Complete assignments on time and regularly communicate progress to key stakeholders. You don’t have to hire a team of consultants to do these things. Building fast change into your culture is easy! Just open the box. 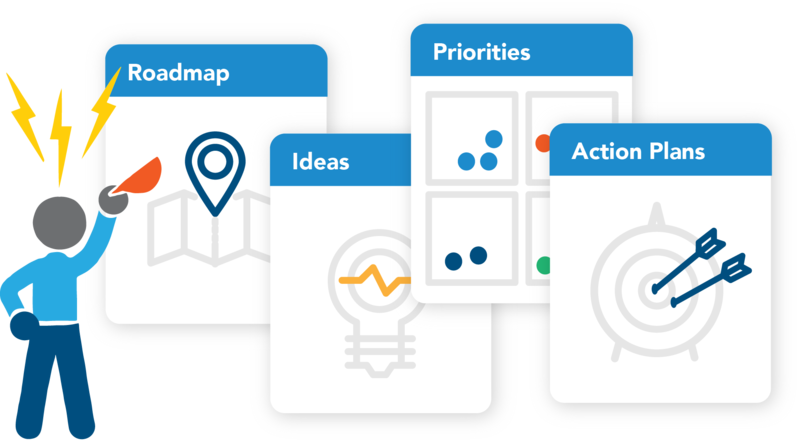 Rapid Action is a step-by-step roadmap that allows sponsors, team leaders and team members to cohesively work together to successfully complete projects fast. You have problems, but do you have a plan? Rapid Action Project Planning gives you everything you need to create one. You know what to work on, but how do you avoid a slow start? 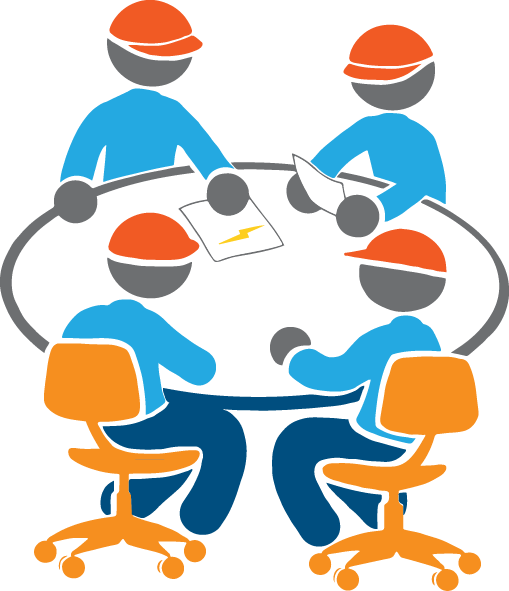 Following scripted Team Guides™ allows teams to brainstorm solutions within 30 minutes of their first meeting. You have great ideas, but who will do the work? 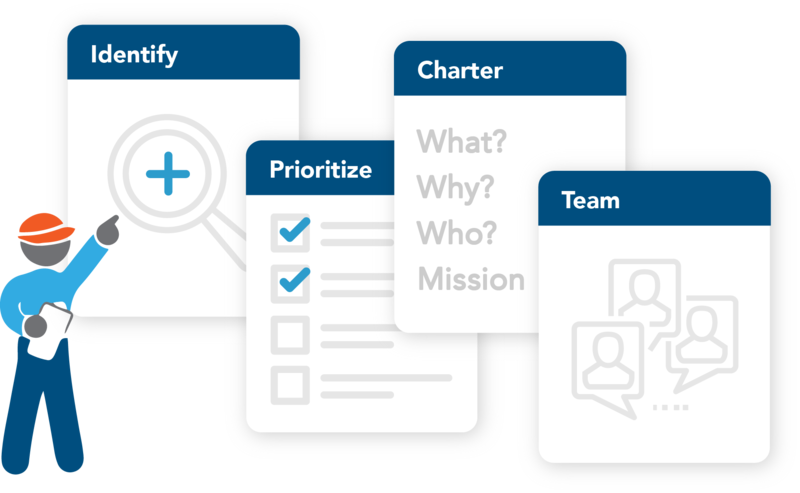 Rapid Action™ teams hold each other accountable to meet deadlines and use Action Accelerator™ templates to turn ideas into action. 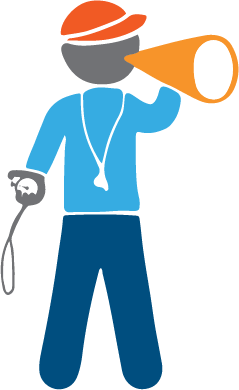 Your team is rolling, but when do they communicate with Stakeholders? 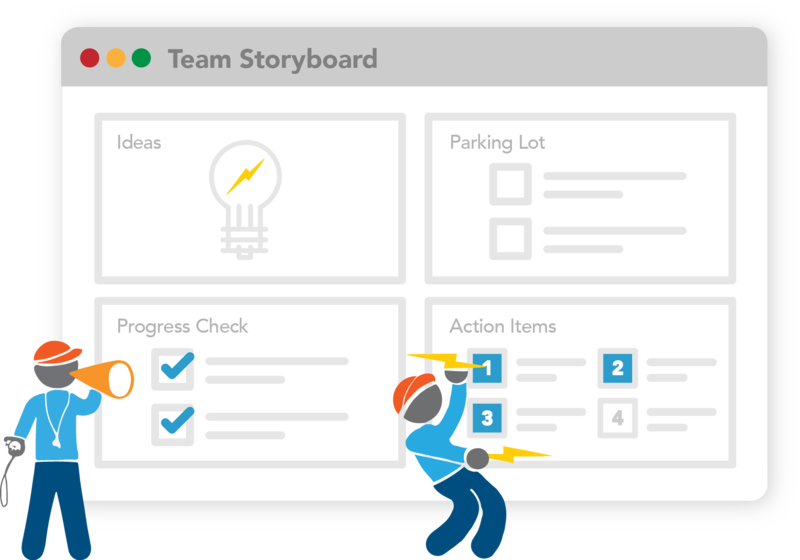 Team Leaders and Sponsors connect weekly and use the Team Storyboard™ to track live progress on ideas being implemented. Things are wrapping up, but where are the numbers? 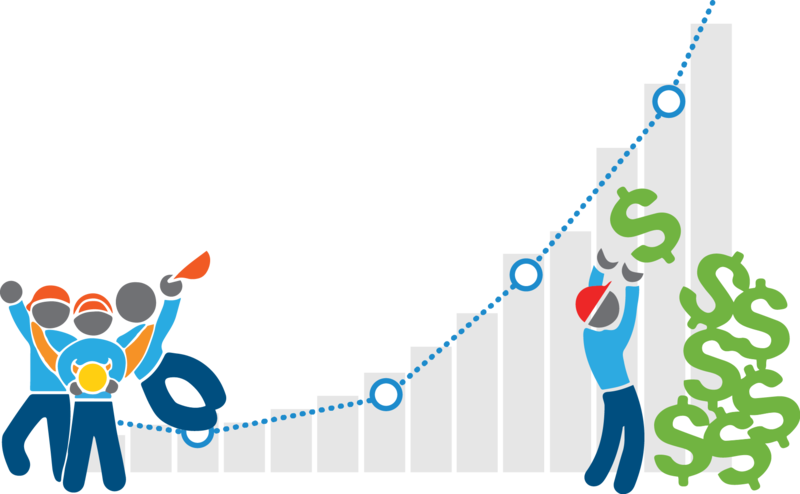 Rapid Action™ includes detailed guides for reporting financial and productivity gains as well as control plans to make sure the new solutions stick. The perfect complement to whatever else you already do…even if that’s nothing. Rapid Action™ is designed to seamlessly integrate into a variety of continuous improvement disciplines, including Lean and Six Sigma. It is also the perfect way to start for companies that don’t have a formal continuous improvement program yet, but know they want to get more organized about how they improve. Where could you be in 60 days? Rapid Action is simply the best tool for making positive improvements in your organization. One of the strengths of the program is that it brings together people on the front lines with other departments and management. Front line staff understand the process as well as anyone but are often left out of improvement plans. 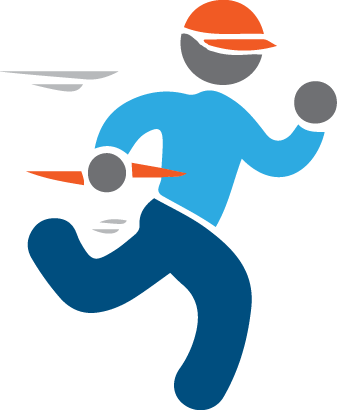 The Rapid action process is a breath of fresh air from typical project management. The toolkit is like a potion that gets everyone engaged right from the first meeting. Rapid Action™ is an excellent tool for driving employee engagement through continuous improvement. 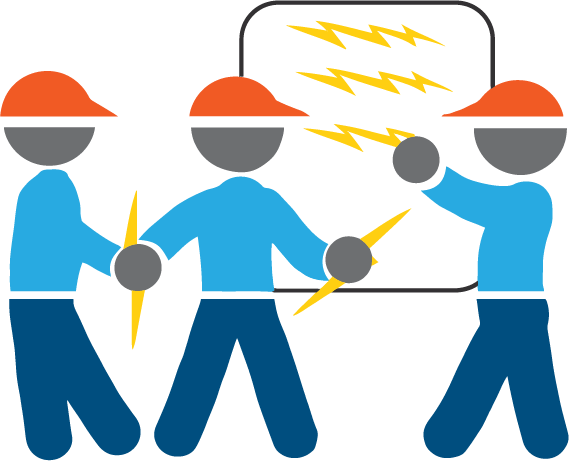 The results of our projects are positive, and the employees feel energized. A true win-win experience. The best thing about Rapid Action is that a motivated supervisor, with leadership support and enabled employees can make huge gains in performance in a short period of time. In the past, we viewed employee engagement as a feel-good thing. 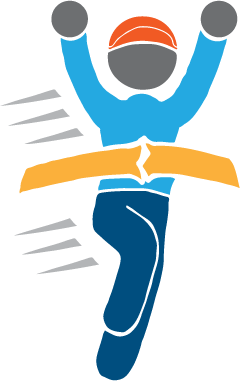 With Rapid Action™, we can tie higher employee engagement directly to the bottom line. Rapid Action™ is, by far, my “go to” choice for getting frontline employees involved in our Lean Six Sigma efforts. Master Black Belt, Mosaic Co. Launching multiple successful projects would not have been possible without the structure and framework of the Rapid Action process. We have engaged all levels of leadership and staff to quickly deploy changes in our processes that have provided real benefits to our patients and our care teams.